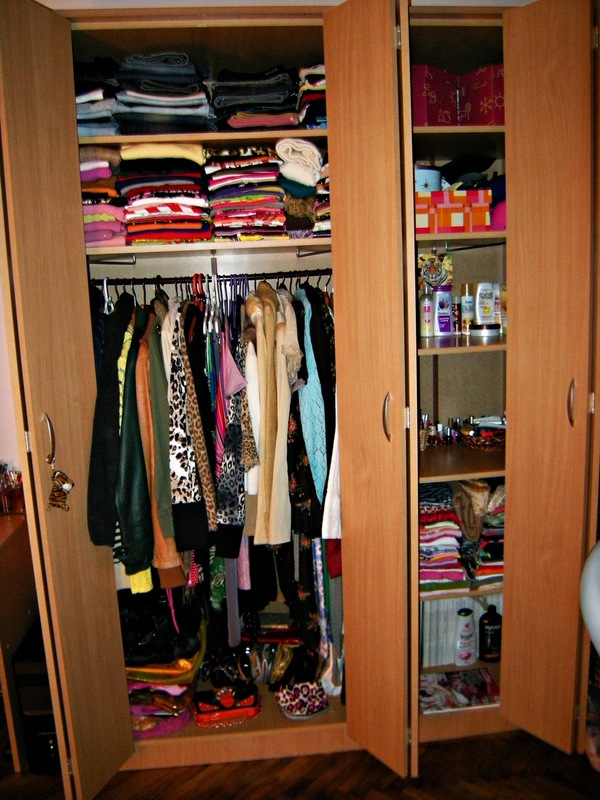 I was always dreaming about having a separated room as a closet, and I know I will have it the day I have my own flat... I do have my "dream closet" and I envy its owner soooooo much (which I basically don't do, I don't envy people 'cause I believe u can have whatever u want if u have a strong wish)! 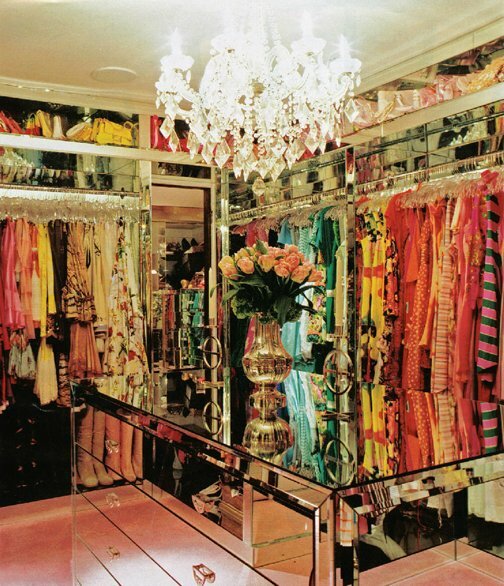 Well it's the closet of Mrs "Fabulosity" - Kimora Lee Simmons!! But really from the first moment I saw an article in the "InStyle" mag (btw one of my fav ones) I knew that's it!! 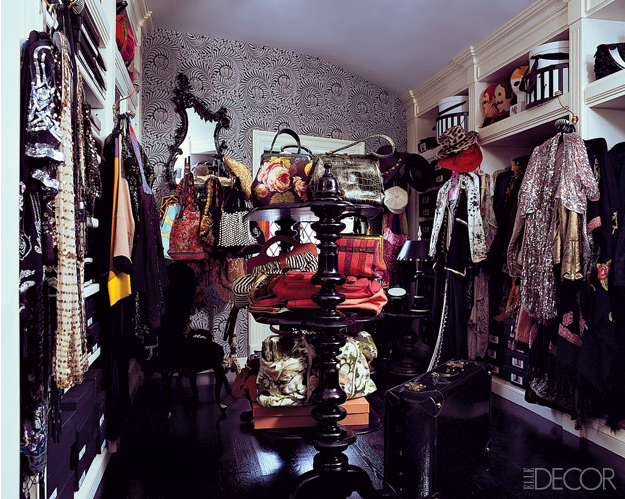 !Now I am not talking about clothes, bags and shoes she has there (ok I wouldn't have anything against to "borrow" few things or more without returning, especially dazzling examples of shoes, lol), I am talking about the closet design! 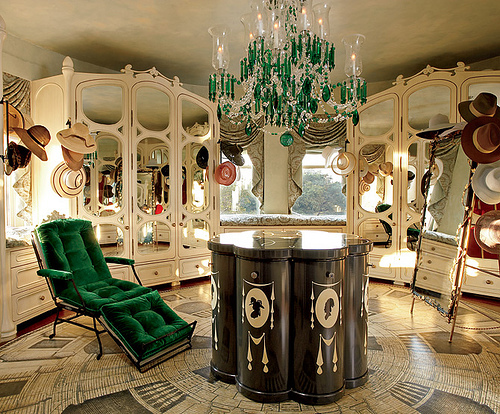 Better than in a high-fashion boutique- warm and elegant look with a leopard print carpet, shiny wood shelves, ottoman, mirrors, columns and the way she divided everything- there is only one description- FABULOUS!!! i love the elle decor one! AND the one with the green lounging chair! so beautiful! I would love a walk in wardrobe! OMG... I want the white one with the big window at the back... just amazing!!! Great post, I love it!! I am currently undergoing a major closet renovation, and I would just DIE to have any one of these! We have a section on our blog about our favorite closets, and sometimes we feature other bloggers! Feel free to check it out and let me know if you'd be interested laplacard@gmail.com!! Sve mi cure sanjamo o ormaru koji se prostire na vise desetina kvadratnioh metera.Nekako su nam nasi ormarici minijaturni i uvek fali to jos jedno krilo ormara,a kad dobijemo to jedno onda nam fali jos cela soba i tako u nedogled. Uvek nemamo sta da obucemo i uvek nam je ormar pretrpan.Muka je to,a muskarci ne razumeju.